Vaporesso Renova Zero Starter Kit, which adopts built-in battery with 650mAh capacity, comes with multiple protections to ensure high performance. Pod adopts PTF system to ensure easy refilling and prevent leakage. Vaporesso Renova Zero Starter Kit, which adopts built-in battery with 650mAh capacity to offer long stand-by time, comes with multiple protections to ensure high performance. Lighting indicator makes operation easy and convenient. As regards pod, it adopts PTF system to ensure easy refilling and prevent leakage. CCELL coil will provide excellent and pure flavor. What are you waiting for? Just get it to enjoy vaping. • Quick link:NRG GT Coil, Revenger TC Kit. • Three warranty for Zero Mod and Refillable Renova Zero Pod. One of the best pod vape for me. I bought RAINBOW color this time. It is very beautiful and shiny, but easy to attach fingerprints. As far as pod systems go, I'm enjoying . It comes with two coils. The fill system does have a small silicon plug, but it comes with a needle fill bottle, this Zero looks pretty nice. Renova is essentially a subsidiary company by Vaporesso﻿ You have to wait 15 minutes when using a fresh pod otherwise you will burn it. That is the issue everyone is having ,,, this Zero looks pretty nice. Zero Pod ist klein, tragbar, mit hoher Qualität. Ich bekomme es schnell. Gut! Das Vaporesso Renova Zero ist gut, ich bin zufrieden. 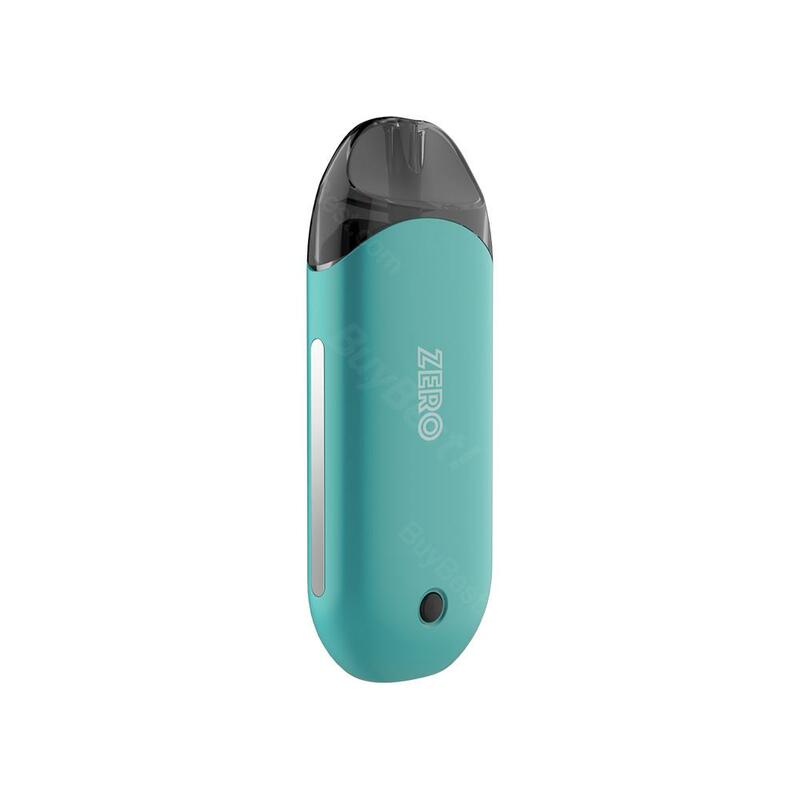 No popping, no leaks, adjusts to smoke levels, small enough to fit in pocket, pod is easily replaceable, battery life lasts for two to three days before recharge, taste the flavors, refills are easy, comes in pretty colors! What more can you ask for!!! This pod has no rough taste and has a clear taste. It is a wonderful product.. I got package today. Thanks. So beautiful zero kit. Love it. Fast shipping. Nice service. The taste is soft and big, suitable for me as a vaping newbie. The color is fascinating. Vaporesso zero has a wide range of color choices. The blue one is my favorite. Convenient to carry, i put it in my makeup bag. Haha. The hand feel is snug, my mom likes this zero kit and enjoys it every day. Would shop again. Nice shop. Free, yet fast shipping. This small kit looks quite elegant and fancy. It is quite suitable for a starter. This small kit boasts its easy refilling and large power capacity. The high performance is worth the money you are going to spend. Nice craftsmanship. I have fill in the juice and the flavor is great. Highly recommended this zero kit to vaping beginners. Such a little pod kit. I can easily hide it in my palm. Very simple to use. Gives me really smooth throat hit when using my nic salt juice. Love it!